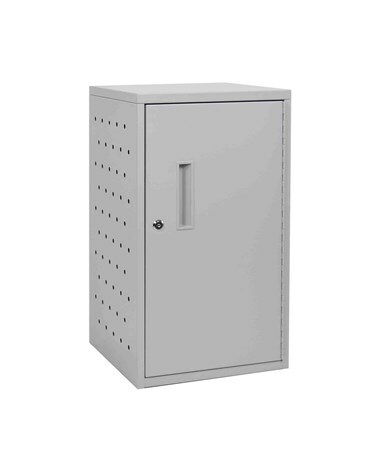 The Luxor Tablet Vertical Wall or Desk Charging Box is a secure and space-conserving charging cabinet that solidly mounts to a variety of surfaces. 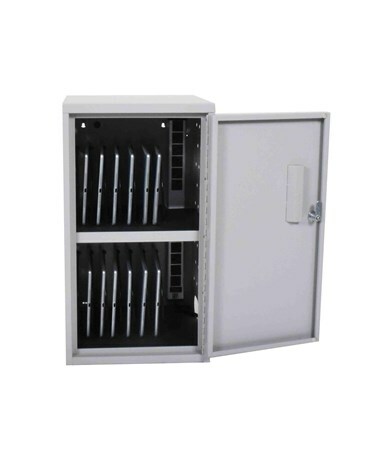 Perfect for small offices, schools, and libraries, this unit can also hold 12 t 16 tablets and supports a weight of 25 to 70 lbs. its sides are ventilated to allow air can circulate freely and keep the devices cool. 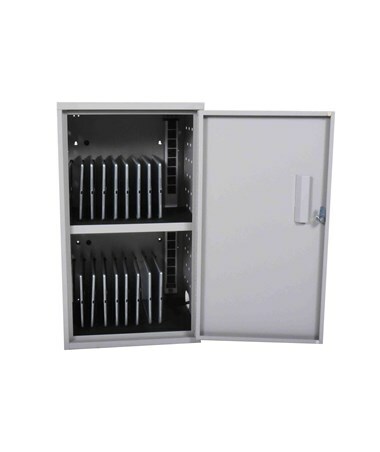 The contents are secured by a solid door with traditional lock and key system. 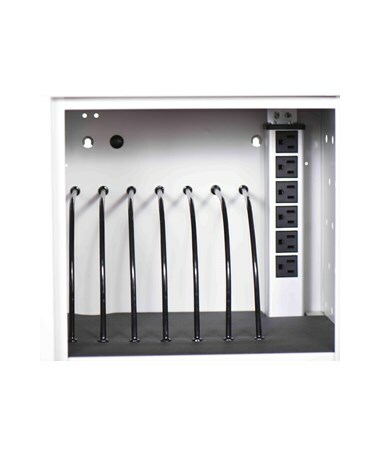 The interior of this charging box is padded and includes a shelf and rubber-coated dividers that protect the devices. 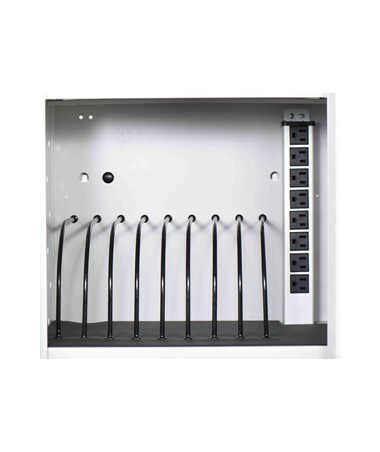 It features a UL Listed 6-outlet 120V/15A electrical assembly to keep devices fully charged. Also included is a mounting hardware for drywall surfaces. 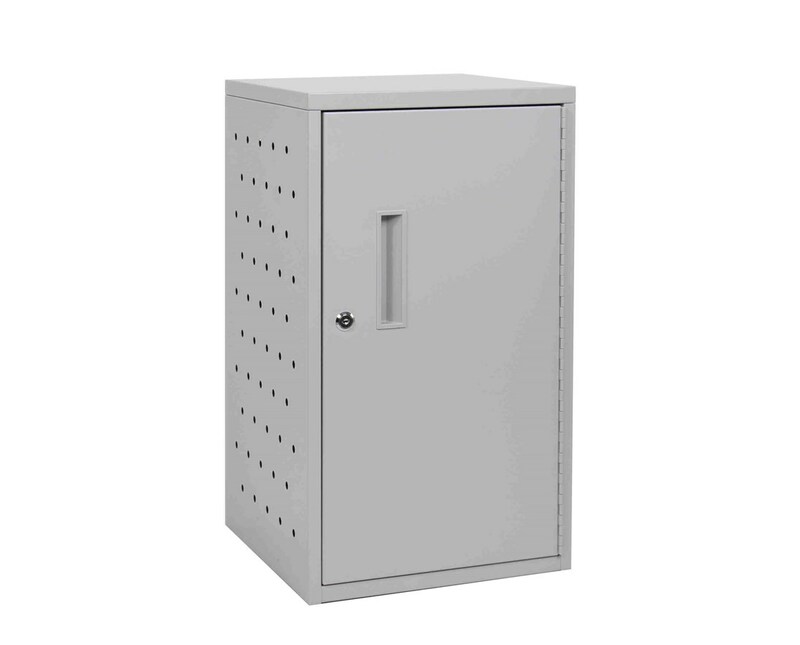 This vertical charging box is made of steel with a powder coat finish. It comes fully assembled. The Luxor Tablet Vertical Wall or Desk Charging Box is available in two capacities. Please select your preference from the choices above.